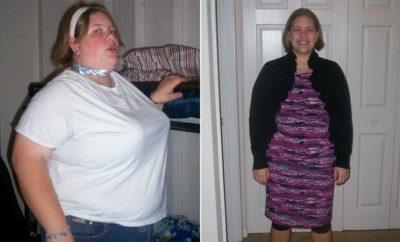 How I Gained It: I was overweight all my life. Even my Communion dress came from the “chubby” department (that’s what it used to be called in those days). I would eat fried foods, large quantities of pasta, rice and bread, and whole, large bags of potato chips in one sitting. I, like many others, didn’t realize just how much I truly was eating. I even remember being in the doctor’s office saying things like “I don’t understand, I am hardly eating and I am getting bigger and bigger.” It was all mindless eating. I was in total denial, and only fooling and hurting myself! Breaking Point: I was dying at the age of 50. I was a divorced mother of three, two of whom still lived at home (they were in high school), and placed on Social Security Disability. I was in prison in my own skin, being suffocated slowly at 449 pounds, being told at age 52 that there was no hope for me, that no doctor could do anything for me. I was totally homebound for two years; I couldn’t walk more than 10 feet without having to sit and catch my breath. I was on insulin five times a day, high doses of medicine for my blood pressure and a host of other medications. My life was surely coming to a close, and it had never even started. In February 2009, I took matters into my own hands. 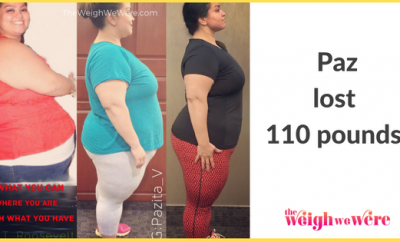 How I Lost It: I joined Weight Watchers — by proxy at first, since I could not make it to the meeting rooms. 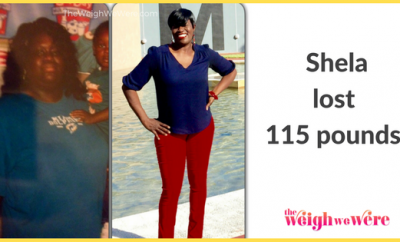 After following the plan by myself at home for four months with the help of my sister and cousins and my two teenaged daughters, I had lost my first 68 pounds. 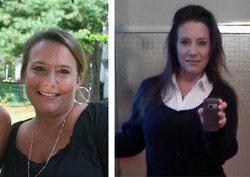 That enabled me to walk and make it to the Weight Watchers center near my home in June 2009. For the first time in my life, I became alive! I started exercising with a hand bike that my daughter bought for me in a local drugstore. I used to use it with my hand for two minutes and then my legs for two minutes. At 449 pounds, that was intense exercise. I increased my activity level whenever I could. Now, I go to the gym everyday. I use the treadmill at 4.5 miles per hour for 60 minutes, at an incline of 15! Now, I eat egg-white omelets, lots of vegetables (which keep me full longer), oatmeal, fresh berries and other fruits, lean meats, low-fat cheeses, Greek yogurt and salads with avocado, mushrooms, beets, tomatoes and red onions instead of my old diet of fried foods, pasta, rice or potatoes! I am doing things now that I couldn’t even do when I was a teenager. I am off all my medications. I am no longer diabetic, I no longer have high blood pressure and I have the heart rate of an Olympian! There are so many people who think that this is impossible to do at middle age and having so much weight to lose! I am proof that that’s not true. I overcame every obstacle. 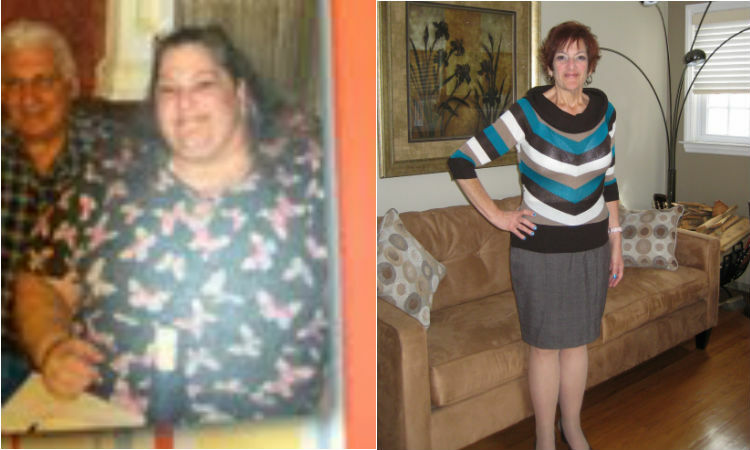 I was going through menopause, I was unable to move, my muscles were atrophied, I had hypothyroidism, I was on insulin. But I did it, and so can you, one lifestyle change at a time. Just believe in yourself and know that quitting is not an option. Thank you for sharing this. Losing large amounts of weight is hard at any age, but particularly in middle age. You’re an inspiration! Pat yourself on the back, Jennie Lewis! Congratulations. You are beautiful. You have inspired me . I lost 20 lbs the same sensible way you did, but it slowly came back . I became undisciplined, didn’t walk every day like I did , drank less water, had one to many chocolate bars and chips. Now that Lent has started, I’m back on track and reading this makes me more so. I wish you nothing but strong days and success!